Rama goes undercover in order to provide protection for his wife and child. 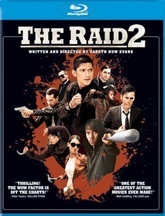 Following immediately after the events of The Raid, Rama (Iko Uwais) is forced to reinvent himself as an undercover cop in order to provide protection for his wife and child. Working for the anti-corruption taskforce led by the one person he can trust, Bunawar, he is given an assignment as an enforcer for a local mob boss, Bangun. Finding a way in through Bangun's son Uco, Rama must hunt for information linking Bangun to police corruption. All the while, he harbors a dangerous and personal vendetta that threatens to consume him, and bring both this mission and the organized crime syndicates crashing down.